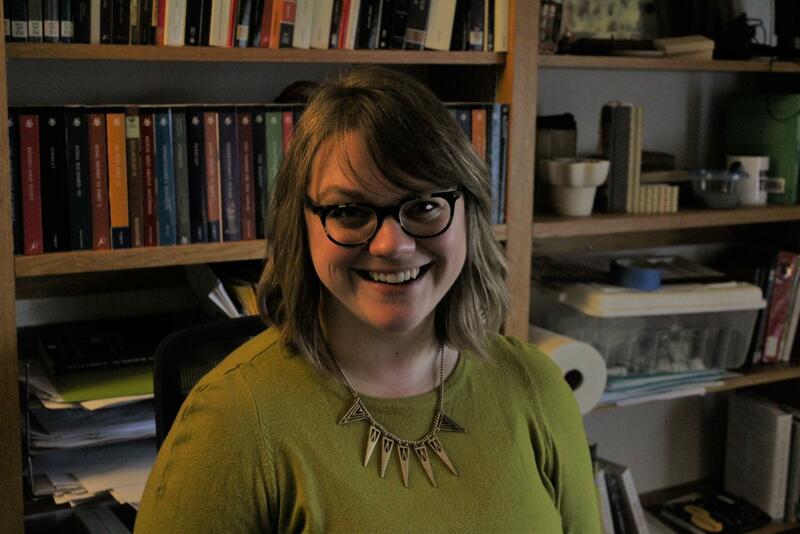 Assistant Professor of English Lindsey Row-Heyveld worked with Anna Phearman ('19) to create the Luther Disability Alliance. 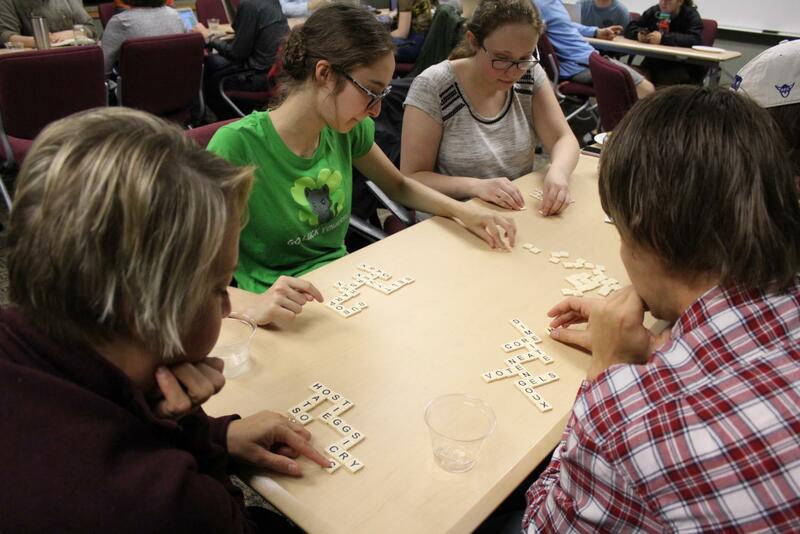 The Luther Disability Alliance met for the second time on Oct. 9 at 8 p.m. in the Mott-Borlaug room and approximately 30 people attended, including students with disabilities and their allies. This organization for students with disabilities was created to provide students with a supportive community and a place to identify changes that need to be made on campus for students with disabilities. 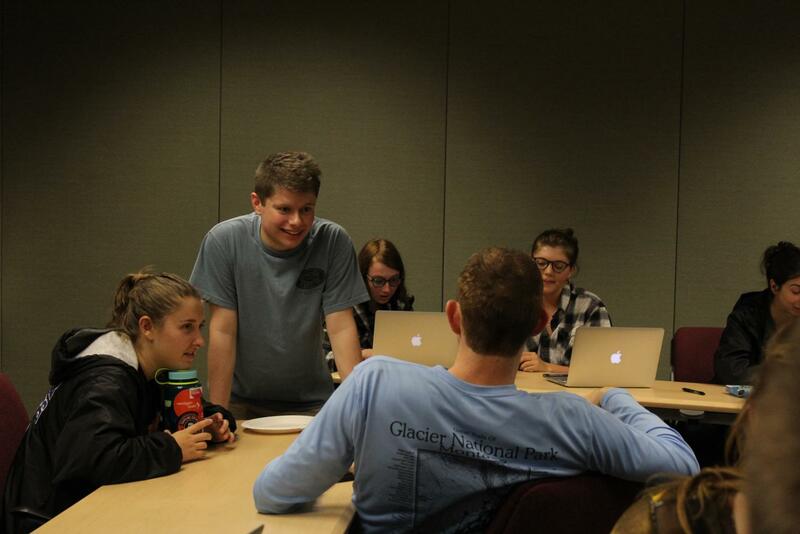 The organization holds two types of meetings: one for students who identify as disabled and one joint meeting for students with disabilities and their allies. Out of interest for students with disabilities who felt like there was no place for them to meet, they wanted to create a group that actively advocates for change for students with disabilities on campus. Elizabeth Bolthouse (’20) and Hannah Wollack (’20) come together to play Bananagrams before the Luther Disability Alliance meeting. After interning in Washington, D.C. at a disability rights organization during the 2018 fall semester, Phearman wanted to bring the sense of community she experienced at her internship to Luther. She had tried to advocate for change alone, but wasn’t able to generate an effective response. Phearman met with Assistant Professor of English Lindsey Row-Heyveld last semester to discuss starting an organization to create a space for students with disabilities to spend time with each other and develop pride in who they are. “A group led by people with disabilities for students with disabilities,” Co-Student Leader of the Luther Disability Alliance Andrew Avila (‘20) said. Students are not required to have registered disabilities in order to attend the meetings. Additionally, anybody is welcome to attend the alliance meetings. 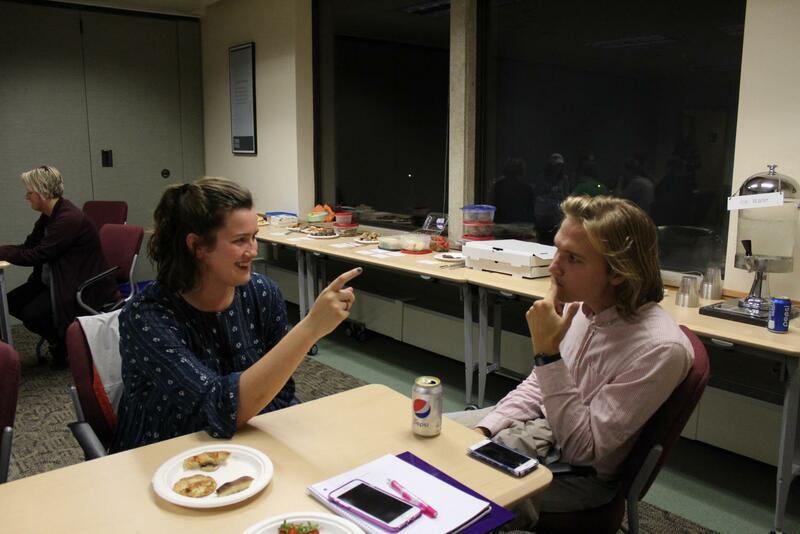 Madeleine Ross (’20) and Erik Mandsager (’20) engaged with each other through conversation and cookies. The organization hopes to take its next steps with accessibility surveys on campus. Right now, the only recognition of disability on Luther’s campus is the Student Disability Services. While these services are necessary, they don’t recognize disability as a core part of who students are. Mara Mergens (’20) and Co-Student Leader Andrew Avila (’20) talk with students before the meeting. When creating this organization, students like Avila hoped to make resources for students with disabilities more visible. He hopes to improve the campus experience for students, and he wanted to be a part of leading that. The organization wants to register with Student Senate and the Center for Intercultural Engagement and Student Success in order to become a recognized student organization. Anyone interested in joining is welcome. It is their hope that students won’t become exhausted in advocating for themselves. “I think that is our main goal: to let there be a place at Luther where we acknowledge disability and not in a way that’s about treating it, but instead, is about respecting the way that disability is an important part of people’s lives, a big part of who people are, and that people can be proud of,” Row-Heyveld said.